This video and the information below it explains what DNS is, what it does and how it controls different aspects of your domain name. DNS, which stands for domain name system, controls your domain name's website and email settings. When visitors go to your domain name, its DNS settings control which company's server it reaches out to. 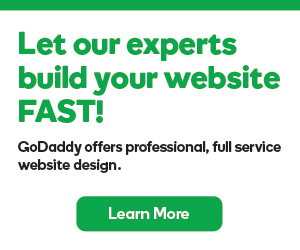 For example, if you use GoDaddy's DNS settings, visitors will reach GoDaddy's servers when using your domain name. If you change those settings to user another company's servers, visitors will reach them instead of us when visiting your domain. Nameserver Nameservers "point" your domain name to the company that controls its DNS settings. Usually, this will be the company where you registered the domain name. However, if your website is hosted by another company, sometimes they will provide nameservers you need to point to instead. Zone File Zone Files are simply the files that store all of your domain's DNS settings. Your domain name's Zone File is stored on the company's nameserver. A Record A Records point your domain name to an individual server using an IP address. An example IP address is 123.4.67.5. Every domain name has a primary A Record called "@," which controls what your domain name does when some visits it directly. You can also use A Records to point subdomains (for example subdomain.coolexample.com) to a server's IP address. CNAME CNAMEs point your subdomains to another server using a server name, like server1.godaddy.com. Most domain names have many CNAMEs. Unlike A Records, CNAMEs cannot use IP addresses. MX Records MX Records point your domain name's email to its email provider. If your domain name uses our nameservers, you can view or change your domain name's DNS through us. Where can I get more information about DNSSEC?